Bill Schweizer's involvement in soaring was inevitable - his two older brothers are Ernie and Paul Schweizer. Without the Schweizer family, soaring in the United States would have been very different and slow to develop. Bill helped his older brothers launch their first glider (SGP 1-1) in 1930 when he was 12 years old. He flew a primary glider at age 13 - single-place - so essentially taught himself to fly. Based on this success, the brothers built another glider which did not fly well. The third one (SGU 1-2) was much better but had a lot of drag due to an airfoil with a sharp leading edge - they named it The Brick. When Bill was in high school, his two brothers were studying engineering in college and then graduating into a world of no jobs (1934 and 1935). Thus Bill's father did not want him to go into engineering. 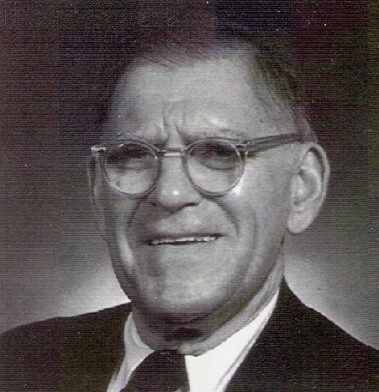 Bill studied science at Syracuse University, graduating in 1941, and became an industrial engineer. He wanted to go into the Air Force but was disqualified due to a minor problem with his spine. Meanwhile, Paul and Ernie, encouraged by the success of these gliders, moved to Elmira, NY and formed the Schweizer Metal Aircraft Company, later renamed the Schweizer Aircraft Company. Upon graduating from College, Bill joined the company in charge of manufacturing. The early days were a struggle with only two or three gliders manufactured per year. Soon the Air Force became aware that Germany had gliders so the United States had to have them also. The SGS 2-8 fulfilled this need as the TG-2. They were ordered to build them as fast as they could and reached production of one per day. The Air Force wanted wooden wings (desire to save aluminum for powered aircraft) so along came the TG-3 (SGS 2-12). These were two place training gliders and served the American post-war soaring movement well when they came on the surplus market. Schweizer Aircraft Company became incorporated in 1939 and continued to be very much in the sub-contracting business and built the Ag Cat and eventually became very much involved with helicopters. However, their first love was building sailplanes. They were the pioneers who contributed to the success of soaring in this country in the early days with the design and manufacture of two-place trainers and all-metal higher performance sailplanes. Their company dominated soaring in this country until the switch to glass sailplanes. Many Schweizer Aircraft are still the basis of soaring training in this country. 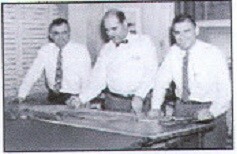 Ernie retired in 1978 and Paul in 1980 leaving Bill to transition the business to the next generation. He was the Chairman in the '80s and '90s. The company was the oldest privately owned aircraft company in this country until it was absorbed by Sikorsky Aircraft in 2004. The company was closed in 2012. Thus ended the most important and successful organization for the development of soaring in the United States of America. The company built several high performance designs but other interesting aircraft also. We encourage the reader to look up aircraft such as the SAC YO-3A (quiet aircraft), the SGC 15-11 (cargo) and the SGM 2-37 (airplane) and others. Bill's continuing love of aviation is well illustrated in his book "Born to Fly" A First Hand Account of Aviation Adventures published in 2004. In 1945 Bill Schweizer presented a paper at the Motorless Flight Conference entitled Production Methods in Glider Manufacture (See Soaring magazine, Jul/Aug, 1946 issue, page 4). He described how gliders had been hand-built prior to WW II with low production resulting in high expense for service and maintenance. The expected expansion after the war dictated the need for coordination between engineering and production departments and the importance that all parts be 'tooled' for interchangeability. He stressed the need to consider licensing requirements and build experimentally for flight test - with handling qualities in mind. In 1969 he published an article in Soaring Magazine (August, 1969, page 16, entitled Schweizer Aircraft's Position on Fiberglass Sailplanes) describing the costly problems due to FAA design certification and production reliability requirements but especially the American labor rates (two to three times higher than European competitors). William Schweizer received the Exceptional Achievement Award in 1998, the FAA Lifetime Achievement Award in 1995 and the Silver Badge #422 in 1960.